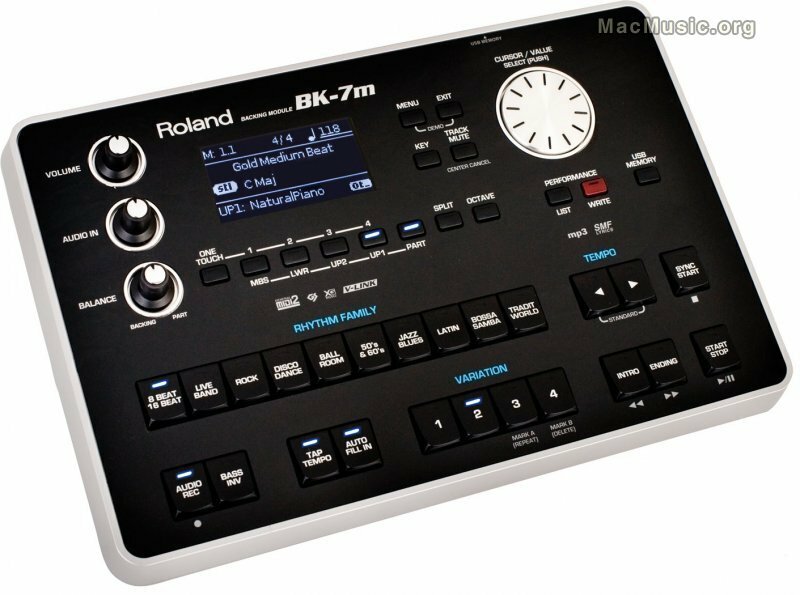 Equipped with a top-level sound engine, the BK-7m includes 128-voice polyphony, an SSC Sound Engine with over 1,000 sounds and 57 drum kits, some of which include Roland's acclaimed SuperNATURAL® technology. The BK-7m also includes over 400 accompaniment arrangement styles in 10 different rhythm families, allowing for a broad range of music styles. Each accompaniment style has four variations that can be accessed with the touch of a button, each assigning the most suitable tones and effects to the real-time parts depending on the selected musical style. The BK-7m is not just an arranger, it is a multimedia player as well. Backing tracks in SMF, KAR, MP3, and WAV format can easily be accessed from the USB memory key input, and audio can also be instantly recorded in WAV format to a USB memory key.